Whether you’re dealing with issues related to estate planning, probate, trust administration or bankruptcy in the San Diego area, The Law Offices of Gerald L. Bohart, A.P.C. offers solutions you can trust. We understand how difficult it can be to think about your own death or incapacitation, but having a trust, a will, a durable power of attorney, and a proper healthcare directive is important for ensuring you and your loved ones are cared for. If you find yourself needing to administer another person’s estate, we can help guide you through the process. As for bankruptcy, we can assist you in determining whether bankruptcy is right for you and, if so, which type of filing will work best to ease your financial strain and get you back on your feet as quickly as possible. 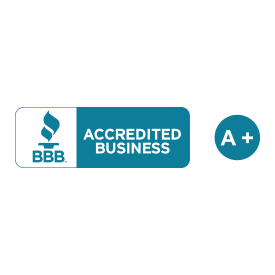 For more than 24 years, we have built a strong reputation founded on client dedication and skilled service, and we welcome the opportunity to put my experience to work for you. Tailor-made estate plans. To ensure that your property, assets and loved ones are well protected, we will work with you to develop an estate plan that suits your individual needs and concerns. Probate made simple. Probate can be confusing and overwhelming. We offer experienced probate representation and can take the burden off of your shoulders and handle your probate matter from filing to conclusion. 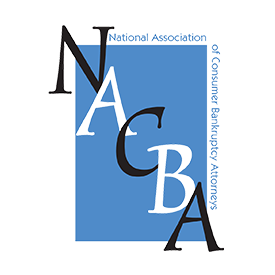 Reliable bankruptcy counseling. We offer knowledgeable bankruptcy guidance for both creditors and debtors, while always keeping my clients’ interests my first priority. We can also help you determine whether or not you need to file bankruptcy, and if so, which chapter is right for you. Trusted solutions. 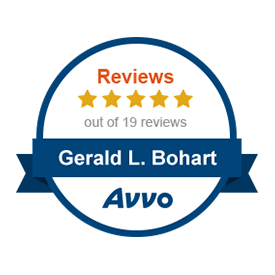 As an attorney who is AV® Preeminent™ Peer Review Rated by Martindale-Hubbell®, he has been recognized by colleagues familiar with my work for my high ethical standards and professional ability. We are committed to offering the same degree of dedicated service to every client we represent. The laws governing estate planning and bankruptcy are complex and can be confusing, requiring extensive knowledge and compassionate counsel. Whether you need help drafting a will or assistance dealing with overwhelming debt, our focus on these areas means we can offer practical solutions for your unique needs. We view your success as our own, which is why we’ll go the extra mile for you. Estate planning. If you own property or have minor children, it’s essential you have an estate plan to protect your loved ones. We offer comprehensive counsel for clients seeking to secure their assets and establish their wishes through various estate planning instruments such as wills and trusts, durable powers of attorney, and advance healthcare directives. Probate. In addition to estate planning, we also guide personal representatives through probate matters and estate administration. Bankruptcy. When you face overwhelming debt, bankruptcy is a legal option that can offer relief. Whether you choose to file Chapter 7, known as asset liquidation, or Chapter 13, often referred to as debt reorganization, depends on your income, assets, debts and goals. We can guide you through the filing process or toward another debt relief solution when that’s a better choice. We understand how overwhelming it can be to deal with the complex legal matters involved in estate planning and bankruptcy. With a passion for the law and helping others, we are here to walk you through the issues you face, one step at a time. At The Law Offices of Gerald L. Bohart, A.P.C., we focus on estate planning, probate and bankruptcy, helping the people of San Diego and the surrounding communities to get the legal help they need in these areas. To speak with a dedicated attorney known to deliver personalized, results-driven service, call us today at (858) 536-5500 or contact me online to schedule a consultation. The Law Offices of Gerald L. Bohart, A.P.C. is located in San Diego, CA and serves clients in and around El Cajon, Santee and San Diego County.